Keep your screen pristine with BoxWave's ClearTouch Anti-Glare, the perfect blend of anti-glare and optical clarity designed for all indoor and outdoor use. Our unique anti-glare material dramatically reduces screen glare for maximum visibility under sunlight and other harsh lighting conditions. Your Algiz 10X's screen will also be protected from fingerprints, dust, and harmful scratches. 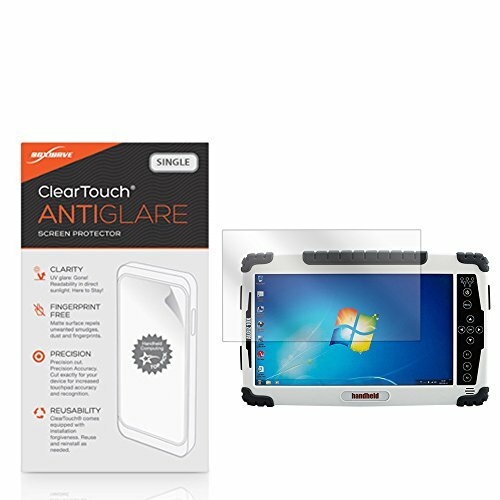 Made with a firm, high quality dual-layered film, our ClearTouch Anti-Glare is engineered with precision to fit the exact dimensions of your beloved Algiz 10X device. Experience the benefits yourself and see why so many others use the ClearTouch Anti-Glare to enhance their Algiz 10X screen! If you have any questions about this product by BoxWave, contact us by completing and submitting the form below. If you are looking for a specif part number, please include it with your message.